We have seen many a program change their head coaches after the conclusion of the 2012 college football campaign, including some of the big names in the sport. Here's my analysis of the hirings for each vacant job. This hire certainly took many by surprise, including myself, because seemingly nobody saw this hire coming. The only potential downside is that Bielema has never coached outside of the Midwest (then again, neither had Nick Saban when he left Michigan State for LSU). That said, this is a really good hire. Bielema may not have gotten completely out of the shadow of Barry Alvarez in Madison but he certainly was extremely successful as he has the highest winning percentage of any Badgers coach and was the first coach to take his team to three straight Rose Bowls (even though the one this year is BS). If you can recruit to Wisconsin, you can pretty much recruit almost anywhere and Bielema's personality should fit well in Fayetteville. The young Texas offensive coordinator comes to Jonesboro with a reputation of creative play-calling, especially when he was the offensive coordinator at Boise State, and I think he's very talented. But there are some downsides to this hire. Harsin had a decent, not great, reputation as a recruiter in Austin and he has only coached outside of the Pacific Northwest for a couple seasons. Plus his offensive style is a little different than what we have seen at Arkansas State. But a big key is that it appears that Harsin will not leave after a year like the prior two coaches have. It was less than 10 years ago that Malzahn was coaching at Springdale High School and here he stands as the head man at Auburn. Everyone looks at Cam Newton as the key reason why Auburn won it all two years ago but the offensive mastermind, Malzahn, deserves just about as much credit. Malzahn may only have one year of experience as a head coach, this past season at Arkansas State in which the Red Wolves went 9-3 and won the Sun Belt again, but he has success everywhere he has gone and knows what it takes to succeed on the Plains and thus this is a great hire. Addazio comes to Chestnut Hill with a lot of energy and plenty of experience coaching and recruiting on the East Coast, especially in the Northeast and also has the ability to show off recruits that he has won a pair of national championships back when he worked under Urban Meyer at Florida. However, I don't particularly love this hire because Addazio stepped into a really good situation after Al Golden left for Miami and while he had a very successful first year but the team really struggled in their first year in the Big East. And Boston College is a mess right now so he will have his hands full. Jeff Tedford did great work in Berkeley over the years but it had become clear that the program had become stagnant. Thus the program needed to make a splash with its hire that it did by bringing in Dykes. A member of the Hal Mumme school of the Air Raid offense that he has used to great success in Louisiana Tech, where he had one of the most exciting offenses in the country. Before Dykes left for Ruston, he had great success as offensive coordinator at Arizona, so he has familiarity with the Pac-12. This is a great hire. It seemed like just a week ago that Butch Jones was going to be the one stepping into the manure of a job that is Colorado before he ended up in Knoxville and now MacIntyre is the man taking the job. And quite frankly, MacIntyre is a much better fit than Jones was and Colorado got a hell of a coach. MacIntyre spent the last three years at San Jose State, which was one of he worst jobs in football when he took the job and in three years had the Spartans at ten wins and in the AP rankings. He's a program builder and boy do the Buffaloes desperately need one. Even though Tuberville worked with Cincinnati AD Whit Babcock back at Auburn, this is an odd fit for Tuberville, as he has never coached north of Jonesboro, and a step down from Texas Tech, where he has been on the hot seat since finishing 5-7 a year ago, losing four out of five to end the year (and being taken to overtime by Kansas) and in that Kansas game being shown smacked a Tech graduate assistant. I still think Tuberville is a very good coach and never should been dumped by Auburn but this is an uninspiring hire. First off, why in the world did they fire Mario Cristobal? Yes, the injury-plagued Golden Panthers disappointed this year at 3-9 but they had a bunch of close calls (Louisville, Middle Tennessee, Troy, Western Kentucky, Louisiana-Monroe) and Cristobal has already been the most successful coach in school history as he lead the club to their first ever bowl games. Plus, only one year ago, Cristobal rejected the Rutgers job to stay in Miami. So FIU really had to wow with this hire if they wanted any chance at saving face. And they end up with Ron Turner. Because nothing gets the juices flowing like a 59-year old retread who sucked at Illinois save for two fluke years. Hell, Ron Zook would have made more sense. So let's recap: you fire Mario Cristobal for Ron Turner. Well done. This very young program is beginning its move to the FBS as it will join the Sun Belt next season and be elgible for postseason play in 2014. The Panthers were really disappointing this year in Bill Curry's final season and thus it was going to be hard to find a solid coach but they found one in Miles, who has a long history as an assistant and did really good work with the Sycamores over the past few years. He doesn't have much experience recruiting the South and that could be a potential problem in the future. I really thought that this might have been the worst job on the market, considering the Vandals are becoming an independent due to the collapse of the WAC, have awful facilities, little fan support and resides in a really tough place to recruit. That said, to bring in a well-traveled and a well-respected offensive mind in Petrino is really a coup. Petrino, who worked three years in Moscow in the mid-90's, has put together great offenses seemingly everywhere he has gone and he does have experience coaching in the region, as he also coached at Utah State. This is really a tremendous hire. In replacing Darrell Hazell, Kent State hired a guy in Haynes with a similar resume to that of his predecessor. Haynes, who is a KSU graduate, has spent the vast majority of his career coaching in the Midwest and worked for many years in the Big Ten and at Ohio State as a top coach under Jim Tressel. Haynes has a reputation for being a top recruiter and understands what it takes to recruit in the Buckeye State, which is key for success at Kent State and why Hazell was a big success. In the SEC, it is the defense that wins you football games and the Wildcats have been pretty feeble on that side of the ball in recent years. To help mitigate that problem, why not bring in one of the top defensive coordinators in college football? Stoops comes to Lexington not only with that noted last name but also the reputation for being a great defensive coach, as proven by the improvements made on that side of the ball in Arizona and more recently at Florida State. He is young and energetic and appears to be a good fit. Usually, I'm not a huge fan of schools hiring a coach that just got fired, like Holtz did at USF. Plus, Holtz is not known for running wide open offense and has a reputation for being too conservative, which would be a change from what they are known for in Ruston. However, I do think this is not an awful hire. Holtz may have ended poorly in Tampa but he has been successful at every other stop plus has good recruiting ties in the Southeast and in Texas. However, the way the Bulls fell off the rails the past two years is a concern. While I am still not sure why exactly they fired Tom O'Brien, the Wolfpack moved quickly to hire Doeren after his Huskies won their second MAC title in a row and it appeared that many schools were looking at the 41-year-old. While Doeren did take over a program in solid shape from Jerry Kill, he took the program to new heights and leaves DeKalb with a 23-4 mark. Doeren should help fix a mediocre Wolfpack defense right away but the only concern that I do have is that Doeren has spent most of his coaching career in the Midwest. It's going to be tough to replace Chris Ault for a multitude of reasons. First off, Nevada is a very difficult job, the athletic department does not spend a lot of money on the football program. Second, Ault is the only coach to have consistent success at the school, so much that he was inducted into the College Football Hall of Fame during his first retirement. Third, Ault left at a really awkward time in terms of recruiting as well as the fact that Nevada is also looking for a new athletic director. Not to mention that Polian does not have much of a background in defense nor barely any experience with the pistol, this is a questionable hire. Polian is going to have to piece together a staff that can recruit well out west. The Wildcats were put in a tough spot with the fact that their coach is heading to Raleigh as they are headed to the Orange Bowl so they decided to promote from within. Carey has been a key piece of the Wildcats' offensive success the past few seasons and has helped build solid lines in DeKalb. I'm not quite sold yet that Carey could be successful like Matt Campbell in a somewhat similar situation at Toledo, like CBS notes, because he does not have a lot of experience and has only coached on the FBS level for a couple years. Oregon was going to be put in a tough spot whenever Chip Kelly decided to leave for the NFL but promoting Helfrich, who is a talented offensive coach in his own right, makes for a smooth transition in Eugene. Helfrich knows Kelly's schemes as well as anybody and is regarded as a strong recruiter so while it is unfair to expect the current run the program has been on to continue with the new coach, he should be able to keep it in the right direction. 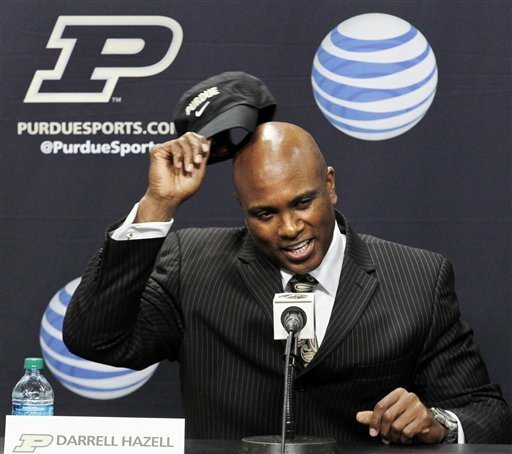 What Hazell did in two years in Kent is truly remarkable. He took a program with practically no tradition, one that had not been to a bowl game in 40 years and had them on the brink of cracking the BCS. 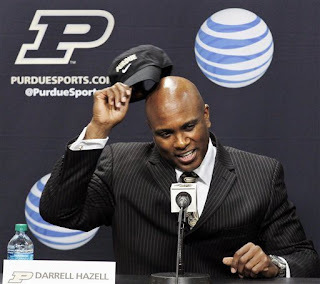 Hazell is a very good fit at Purdue as he has spent practically his entire coaching career in the Midwest and was a top lieutenant under Jim Tressel at Ohio State for seven years. Now he doesn't have a long track record of building and sustaining a program, and many of the top KSU players were recruited by Doug Martin, but this is a very good hire for the Boilermakers. This was certainly an under the radar hiring for the Aztecs after Mike MacIntyre left town and while it may have disappointed some in Silicon Valley, it is a solid hire. Save for Jim Harbaugh's tenure immediatly preceding Caragher's, San Diego does not have a rich football tradition, especially of late, but Caragher did very well with the Toreros, winning the Pioneer Football League three times and the last two seasons. He also comes with a fair amount of California experience besides his time at USD as he spent eight years on the staff of his alma mater, UCLA. The last time Southern Miss hired the Okie State offensive coordinator, it went pretty well so after the disastrous Ellis Johnson hire, why not try it again? It would be too much to expect Monken to do what Larry Fedora was able to do in Hattiesburg before leaving for Chapel Hill but he appears to be a good fit. You need a wide-open attack to succeed in Conference USA and Monken's offenses have been tremendous in Stillwater. Plus, Monken has coached in the area before as he spent a couple of years as an assistant at Louisiana Tech and at LSU plus has NFL experience. Taggart, one of the youngest coaches in the country at 35, has been a hot coaching target and certainly for good reason. He has done tremendous work at his alma mater, getting them to their first bowl game this year in their fourth year in the FBS with their second straight seven win campaign, one that went winless the year before he too over. Taggart is also a disciple of Jim Harbaugh as he worked for him at Stanford and helped develop Toby Gerhart and he is also a native of the Tampa area and went to high school in nearby Bradenton. This is an awesome hire and I think Taggart is a budding star. As per tradition when collegiate coaches head for the NFL, Syracuse was put into a tough spot so late in the process when Doug Marrone was hired as the next coach of the Buffalo Bills and within a couple of days, promoted Shafer to the top job. While I do think they could have been fine waiting another day or two to at least interview Notre Dame defensive coordinator Bob Diaco, promoting Shafer is a solid move. Shafer has done very good work coordinating the defense at Syracuse and has been widely regarded for the work he has done at every stop. Plus, the hiring ensures as much of a seamless transition as you are going to get. While the hiring of Rhule will probably not get Owls fans that excited, this is still a solid hire. The Pennsylvania native spent six years as an assistant at Temple and helped build a reputation as a solid recruiter during his time in North Philadelphia. He has recruited many of the current roster and brings the program back to the Al Golden era of sort. But he has only spent two years at any level as an offensive coordinator and it will be key if he can put together a solid staff. Once again, Tennessee's coaching search was a disaster as they got rejected by Jon Gruden, Mike Gundy and Charlie Strong as not even the best job on the market could get guys to head to Knoxville but ultimately, they ended up in a very good coach taking the job in Butch Jones. Jones may not have any SEC experience but he has won and won a lot everywhere he has gone and is coming off the second straight shared Big East crown at Cincinnati. He also gets his players to play hard for him, something that has been missing at Tennessee. Once Tommy Tuberville bailed on dinner and Tech, Kingsbury seemed to be the logical choice to take over. He's only been coaching since 2008, has only called plays for a couple years and is only 33 he is a perfect fit in Lubbock. He comes from the Mike Leach coaching tree and thus is comfortable with an offense the way Tuberville never was. But not only does he come from the Leach tree and is a brilliant playcaller in the offense, he played quarterback for Leach at Texas Tech only ten years ago. Wells did do a very good job running the Aggies' offense this past year and is also a USU graduate, which always helps, plus the continuity of promoting a highly-regarded assistant is nice, considering who knows who Utah State could get on the open market. He does only have one year as a playcaller and has been pretty much only a position assistant at his prior stops at Navy, Tulsa, New Mexico and Louisville. We have seen the promotion of assistants work out really well or hurt the program long-term but I don't really have that much of a problem with this hire. The Miners looked to be on solid footing in the first two years of Mike Price but since 2005, they have not had a winning season and only one bowl berth and this year's 3-9 mark was the worst of his tenure. Kugler comes to UTEP from the NFL but does have collegiate coaching experience at Boise State in 2006 and as a graduate assistant and as a line/tight ends coach in El Paso from 1993-2000. Kugler is also a UTEP grad and while the Steelers have not had a great offensive line in recent memory, they have gotten better each year. I'm not a huge fan of hiring NFL assistants to head jobs in college but this is a solid hire. Not very often does one of the top coaching candidates, if not the best, on the market find themselves in Bowling Green, Kentucky but that is what we have hear. Listen, we know the deal with Petrino, he's a scumbag. Nobody is going to deny it. But not only he is a hell of a football coach, he has never had any problems with the NCAA. Plus he has something to prove. And for a small program in the Sun Belt? The only concern is when Petrino leaves for a bigger job but in the meantime, this is a brilliant hire. Fleck is widely thought of as a talented coach and he does have plenty of experience in the MAC as he was a star wideout at Northern Illinois and served there as a wideout coach for three years before spending two years at Rutgers and then jumping to the NFL with Greg Schiano. But this is a big risk, in my opinion. Fleck is only 32 years old and has never been higher than a wideout coach at any level and coaches that have not served as anything higher than a position coach do not have a great track record. Even though Andersen has never coached outside of the Beehive State, this is a tremendous hire because Andersen is a great coach. The prior three years before Andersen took over in Logan, the Aggies won three games. Within four years of taking over, Utah State has won eleven games, won a bowl game and finished in the rankings. For what is by far the third job in the state behind BYU and Utah, that's damn impressive. and don't forget, they came very close to upsetting the Badgers in Madison this year as well. Andersen's strong defensive resume is a good fit for the Big Ten. Is Rob Chudzinski a good hire for the Browns? What does the end of the NHL lockout mean? Is Doug Marrone a good hire for the Bills?